Maggie Smith, a 1999 Ohio Wesleyan University graduate, has released a new book of poetry titled “Good Bones.” Smith, visiting poet at OWU for 2017-2018, will read from her book during a free event on Thursday, Nov. 2 in the Bayley Room of Beeghly Library. Books will be available for purchase and Smith will sign copies after her reading. Maggie Smith garnered international attention when her poem “Good Bones” was shared online by thousands of people as a message of healing and hope following Florida’s deadly Pulse nightclub shootings. “Good Bones” is now the title of Smith’s third and latest book of poetry, released this month by Tupelo Press. Smith, visiting poet at Ohio Wesleyan University for 2017-2018, will read from her book during a free event at 4:10 p.m. on Thursday, Nov. 2 in the Bayley Room of Beeghly Library, 43 Rowland Ave., Delaware. Books will be available for purchase at the event, and Smith will sign copies after her reading. “How do I orient my children to this world, which is equal parts wonder and horror?” Smith asked. “I find myself writing out of the experience of watching my children read the world like a book they’ve just opened, knowing nothing of the characters or plot. They are seeing everything for the first time, and I am seeing it again. 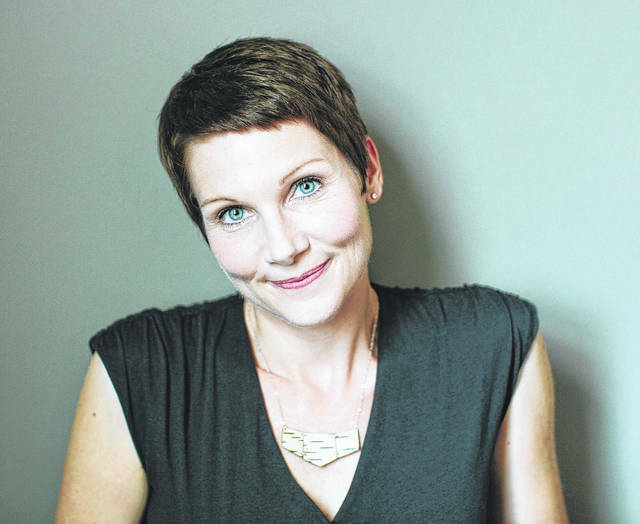 Since her poem “Good Bones” attracted so many online readers last year, it has been named the Official Poem of 2016 by the BBC/Public Radio International and been incorporated into an episode of CBS-TV’s political drama “Madam Secretary.” In addition, Smith, a Bexley resident, has been named the 2016 Ohio Poet of the Year. Smith’s previous books are “The Well Speaks of Its Own Poison” and “Lamp of the Body.” She has earned fellowships from the National Endowment for the Arts, the Ohio Arts Council, and the Sustainable Arts Foundation, among others. Read more about Smith at www.maggiesmithpoet.com and more about Ohio Wesleyan’s Department of English and English major at www.owu.edu/english.